There are so many advantages and benefits when using a shuttle service from Miami to Kissimmee, especially if you want to travel on a budget and would like to experience a free Sightseeing journey at the same time. There are several tourists, visitors, and locals those use to travel from Miami to Kissimmee by using a shuttle service because that it is the most economical way of transportation within the state of Florida. 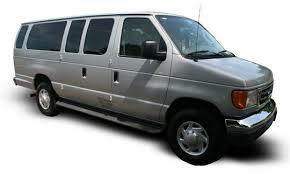 Here you can read about the top advantages when using Miami to Kissimmee shuttle service. These are amazing of the advantages and benefits when using a Miami shuttle service to Kissimmee or Melbourn airport in Florida. The places to pick up are by the Miami International Airport and Miami downtown. These two locations are the most common ones among tourists. One of the substantial benefits is the ticket price (fare), it is way lower than a taxi service from Miami to Kissimmee and way, really way less costly when using a private transport from Miami to Kissimmee. Most likely, the rate of a taxi or private transportation will be around $400, while the Orlando-Miami shuttle service is between $55 to $60 bucks. There are multiple locations from Miami to Kissimmee where you can want to pick up when using the shuttle bus from Miami to Kissimmee. These locations are 1000 NW LeJeune Rd, Miami (Airport Regency Hotel) and Biscayne Blvd, Miami. Many guests and locals want to depart from Orlando to Miami at various times during the day. Therefore, having numerous times to select from is an excellent opportunity. These are the Miami to Kissimmee schedules: Morning between 6:30 am to 11:45 am and in the afternoon between 12:30 pm to 5:45 pm. Even though the Miami to Kissimmee shuttle service is the affordable transportation because it requires to pick up the various travelers along the way, you will get to Miami very fast. As we mentioned, it will make multiple stops on the route to pick up other passengers BUT, these are quick stops and drivers understand the way around each city. Apart from share shuttle, we provide private shuttle or door to door service that is very comfortable and reliable service for you. We pick you up at your particular time and destination accordingly. Do not worry about that where to start your trip, reserve our door to door shuttle service and let us get you to your address in Kissimmee with Go Florida Shuttle services.